Add this Artistic Weavers Talca area rug to your hallway, dining room, or living room for an infusion of style. Add this indoor rug to your home for a comfy, yet stylish design option since it is made from plush wool material. This rug is comfy, hand-made, and stylish. Bring this floral plants patterned blue rug into your living spaces for a contemporary design aesthetic. Talca Blue 8 ft. x 11 ft. Indoor Transitional Rectangular Area Rug Add this Artistic Weavers Talca area rug to your hallway, dining room, or living room for an infusion of style. Add this indoor rug to your home for a comfy, yet stylish design option since it is made from plush wool material. This rug is comfy, hand-made, and stylish. 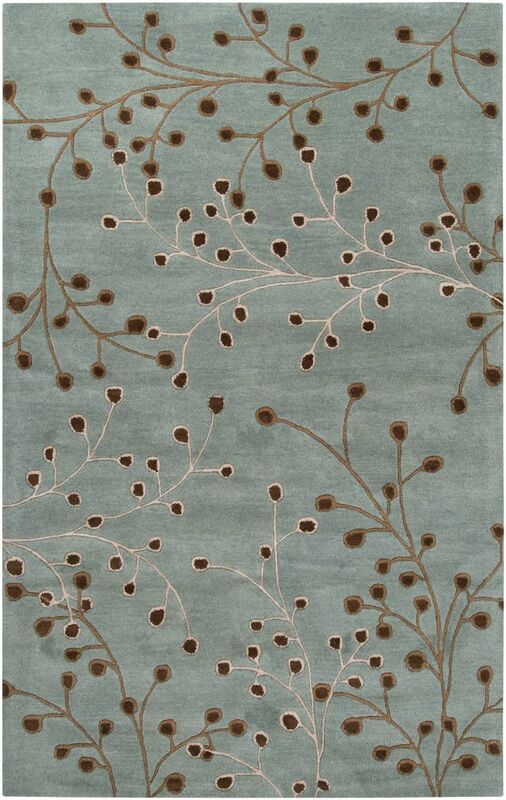 Bring this floral plants patterned blue rug into your living spaces for a contemporary design aesthetic.